Beautifully designed for care free living! 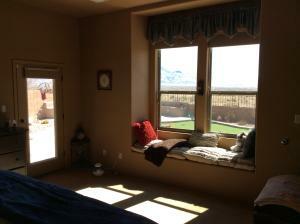 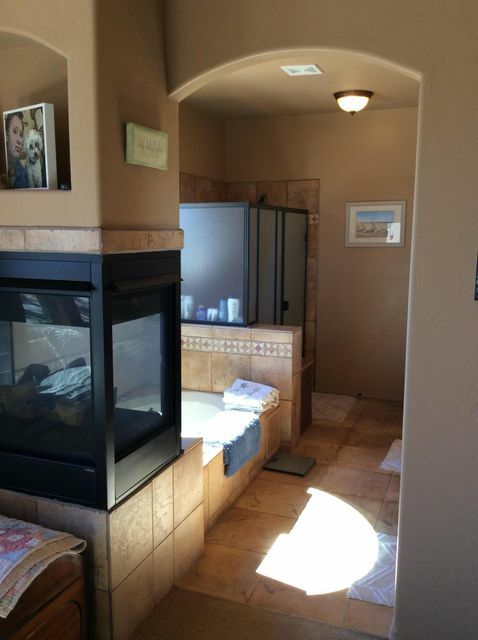 Split Master Suite floor plan for maximum privacy. 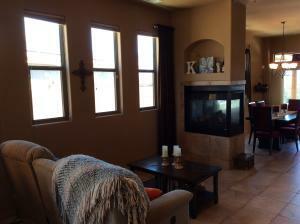 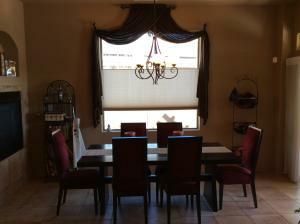 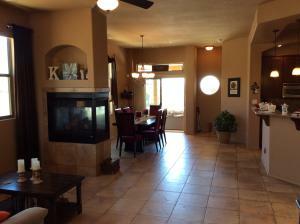 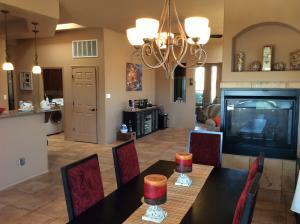 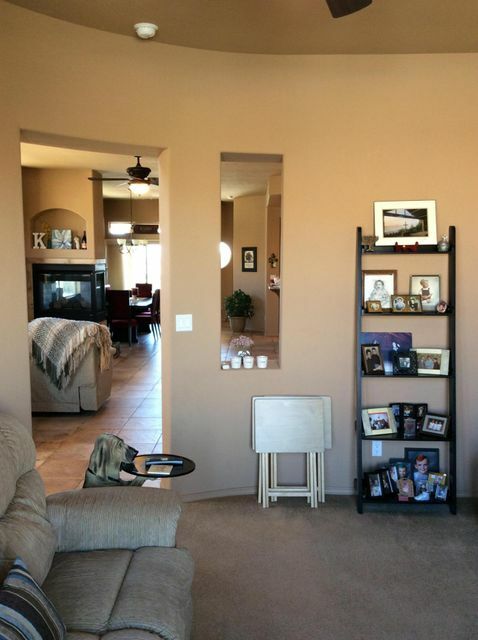 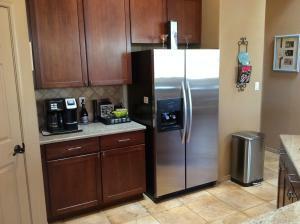 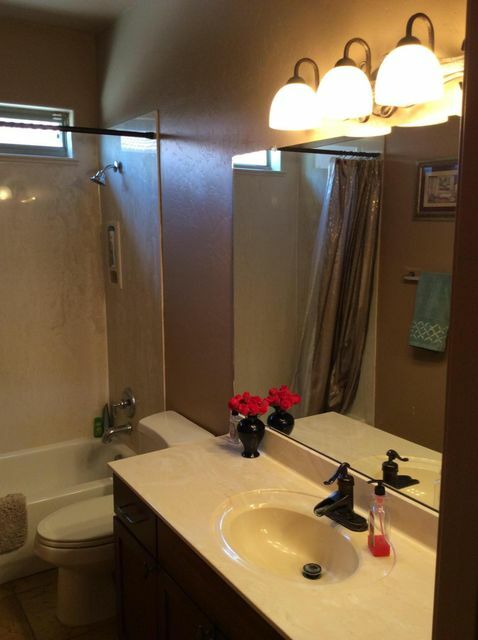 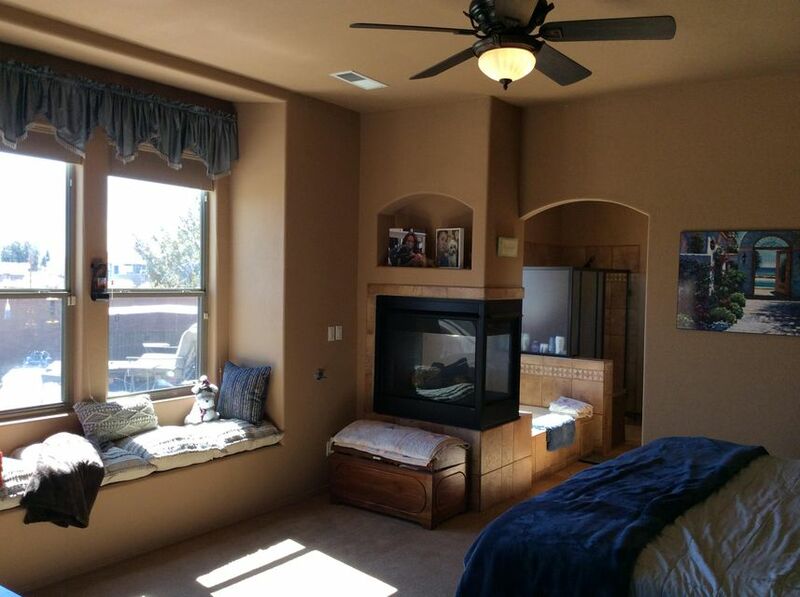 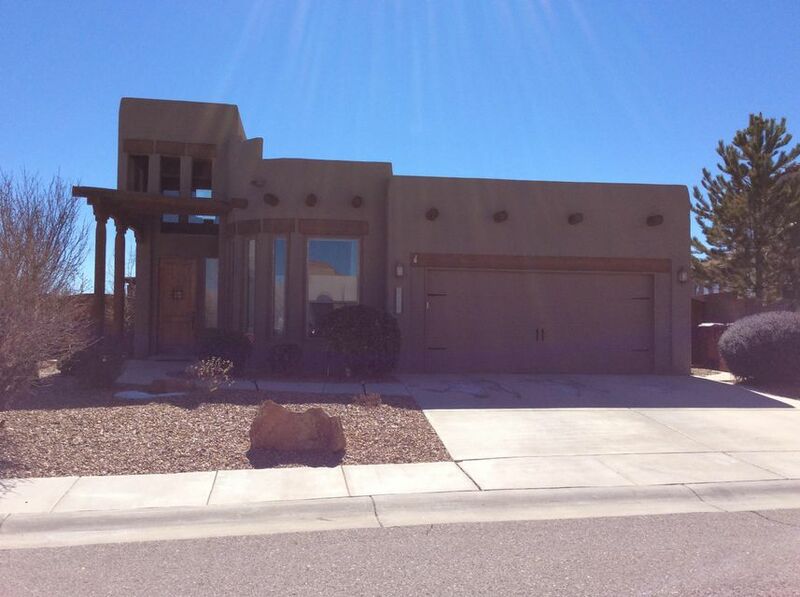 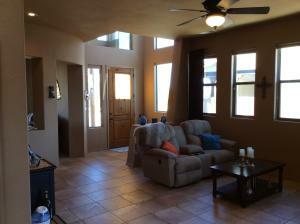 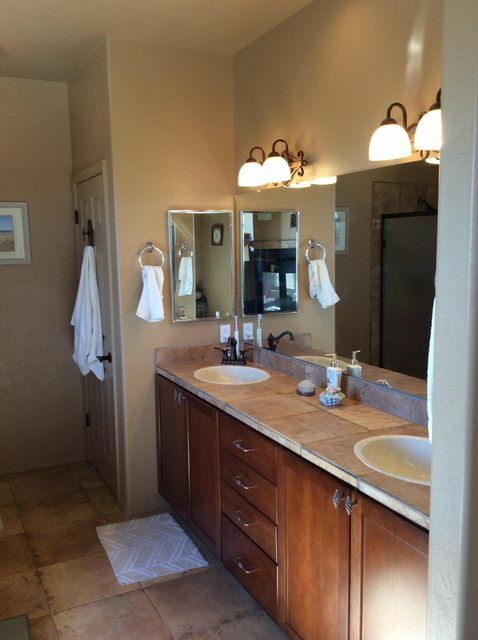 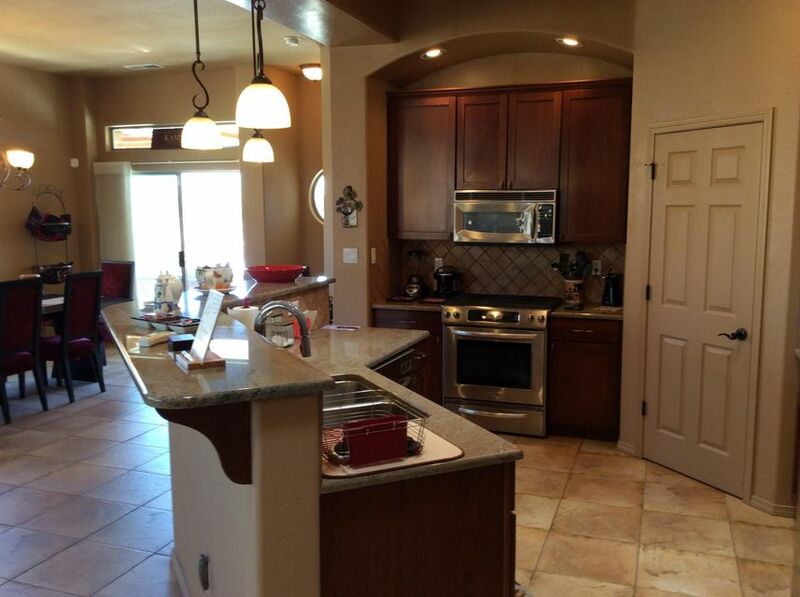 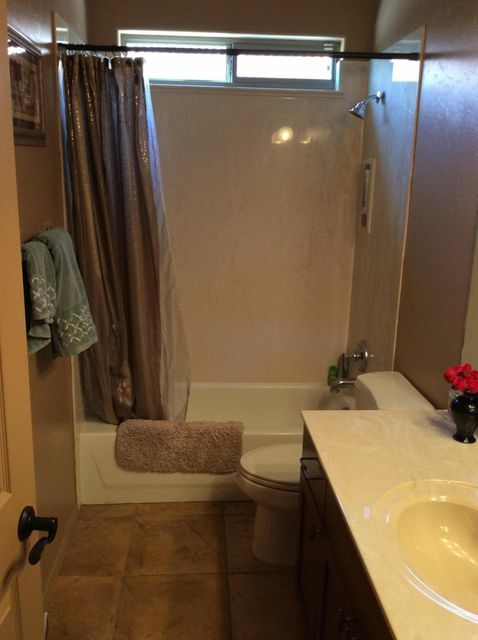 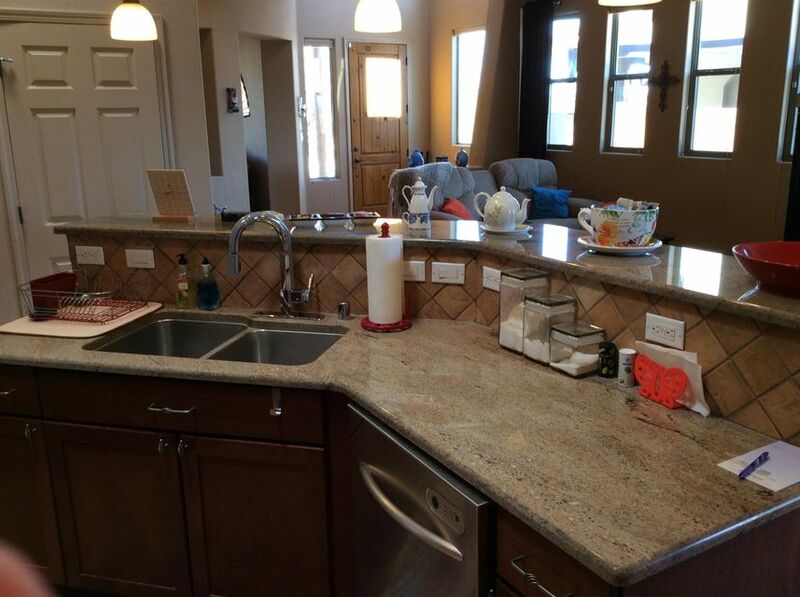 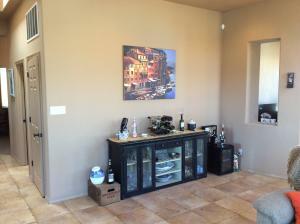 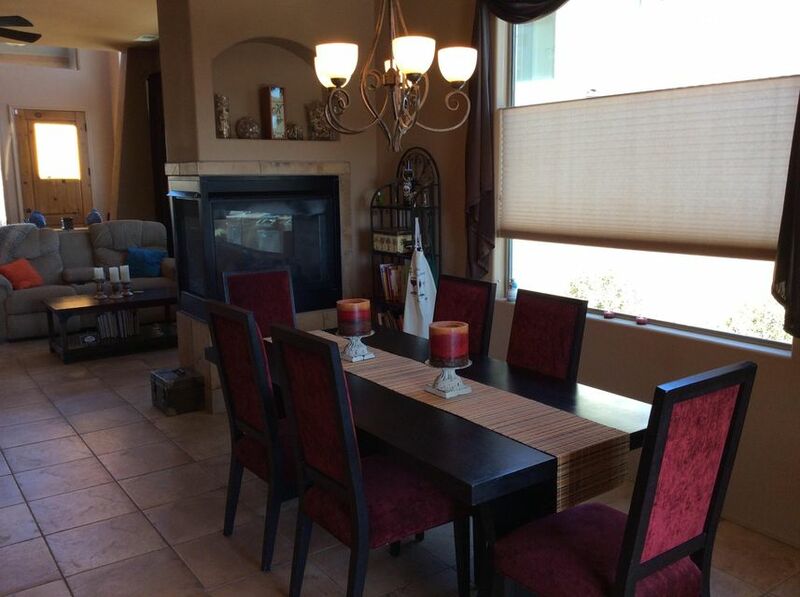 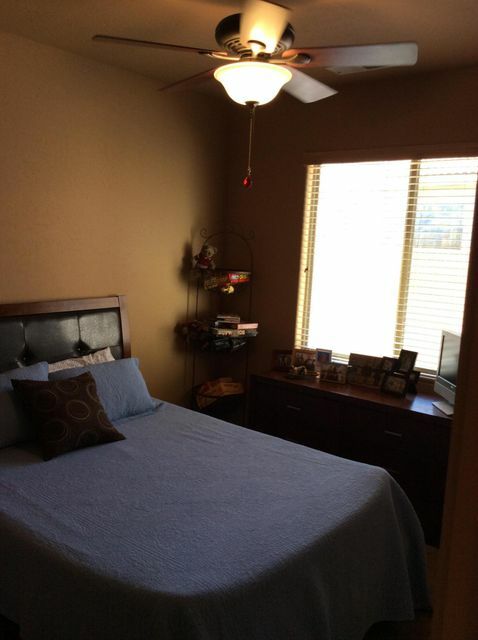 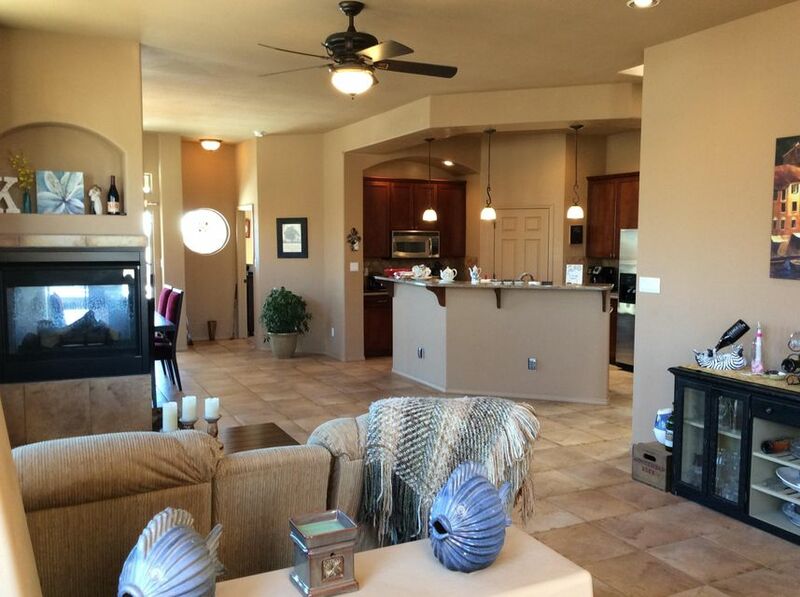 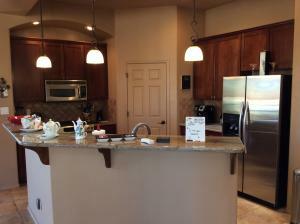 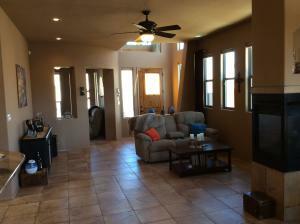 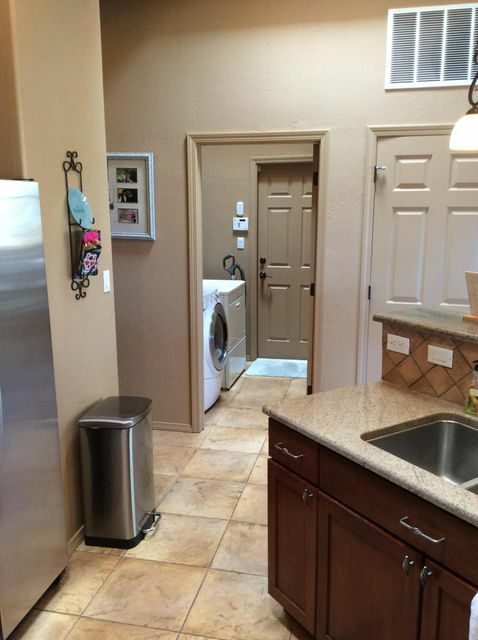 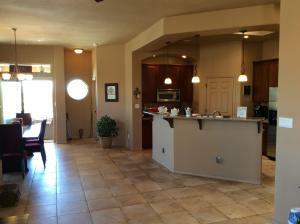 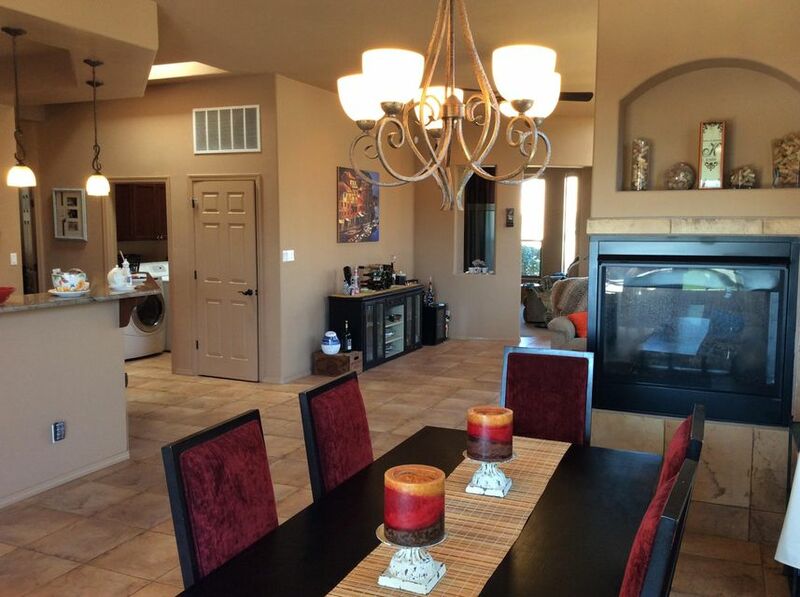 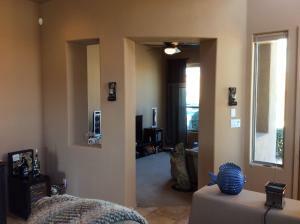 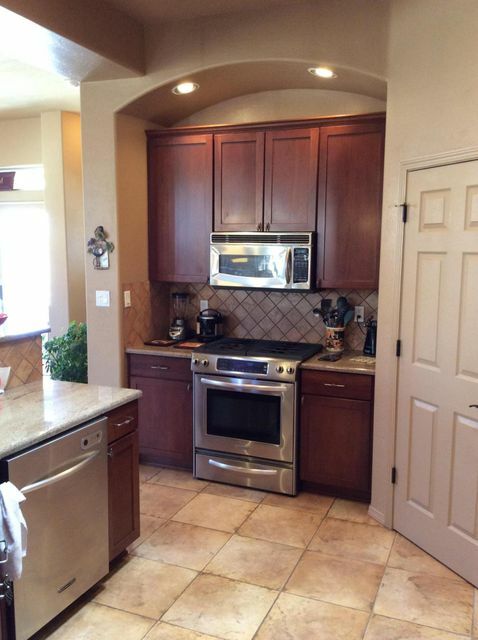 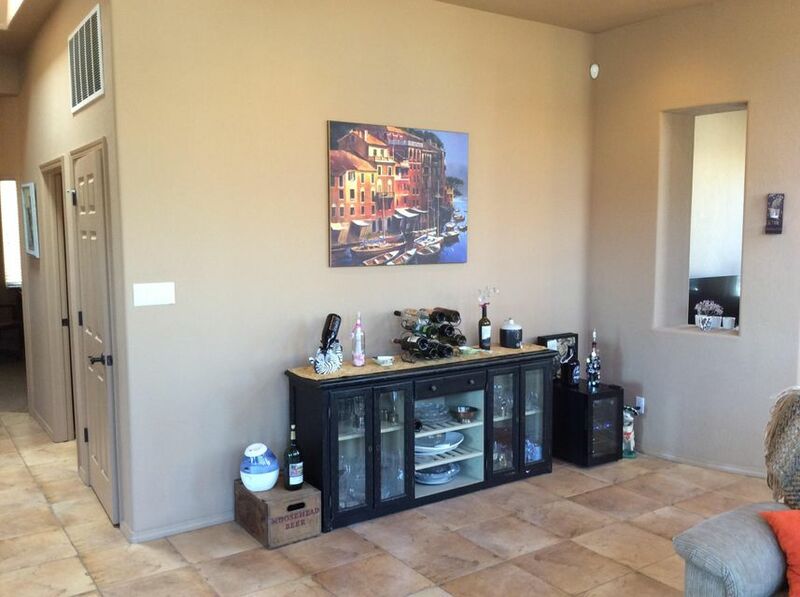 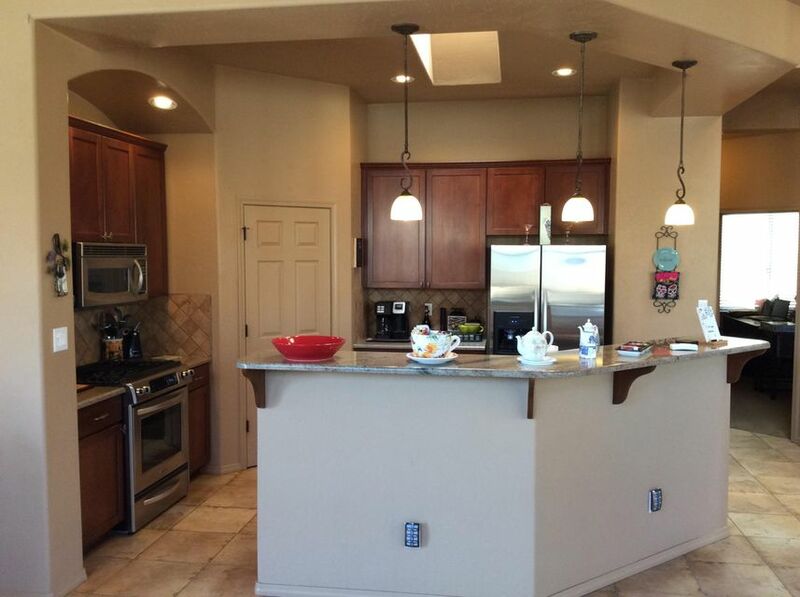 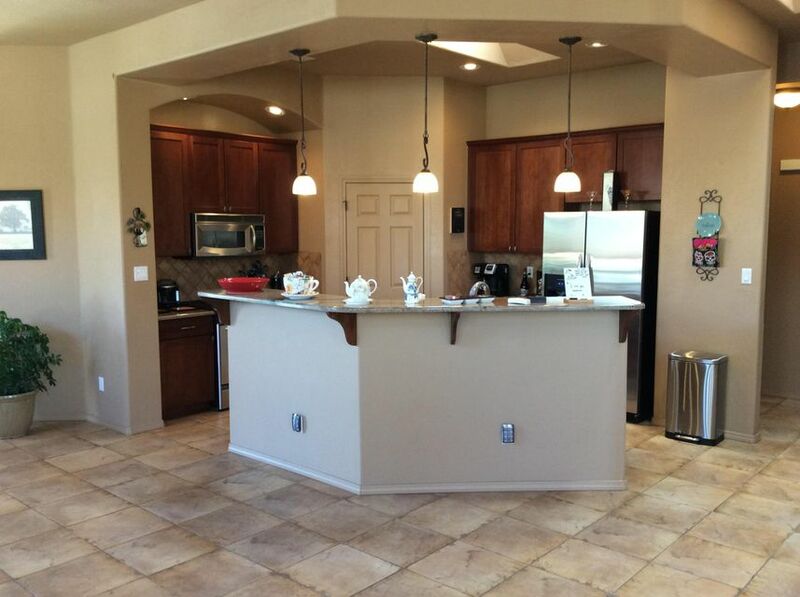 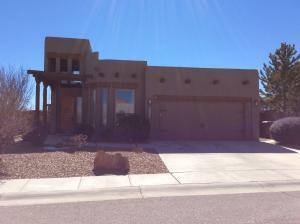 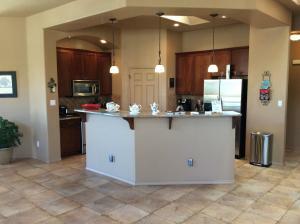 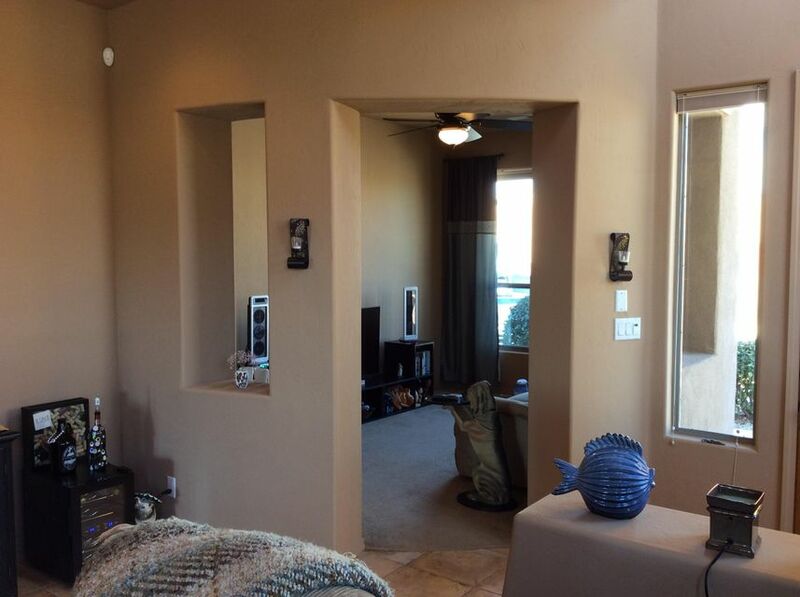 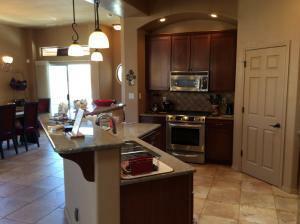 Great Designer colors, tile, and accents, along with granite, stainless steel and window coverings. 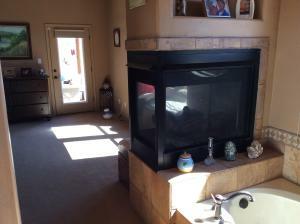 Three Custom fireplaces and nichos for your art. 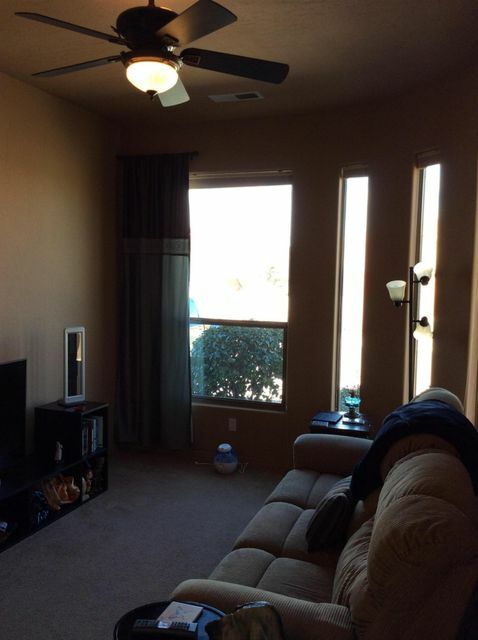 Custom Fans with remotes---Quality of Life is HERE! 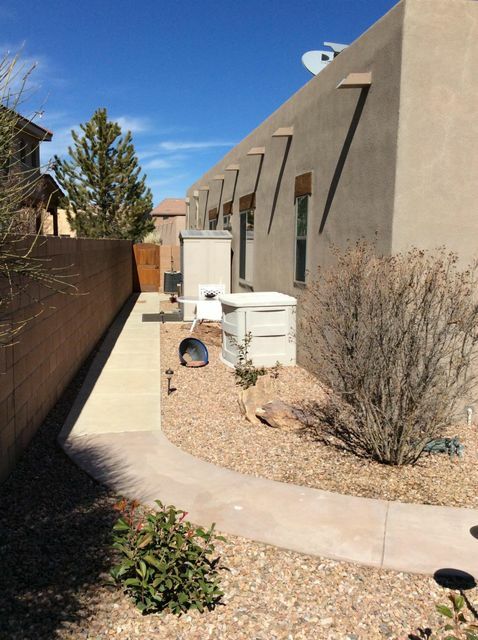 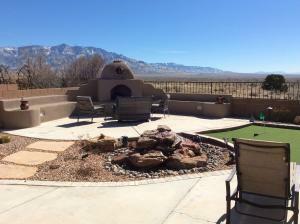 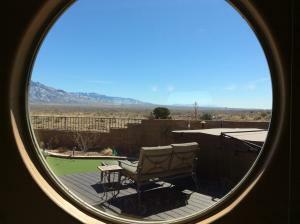 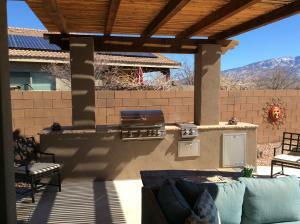 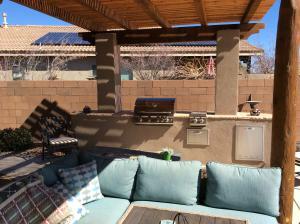 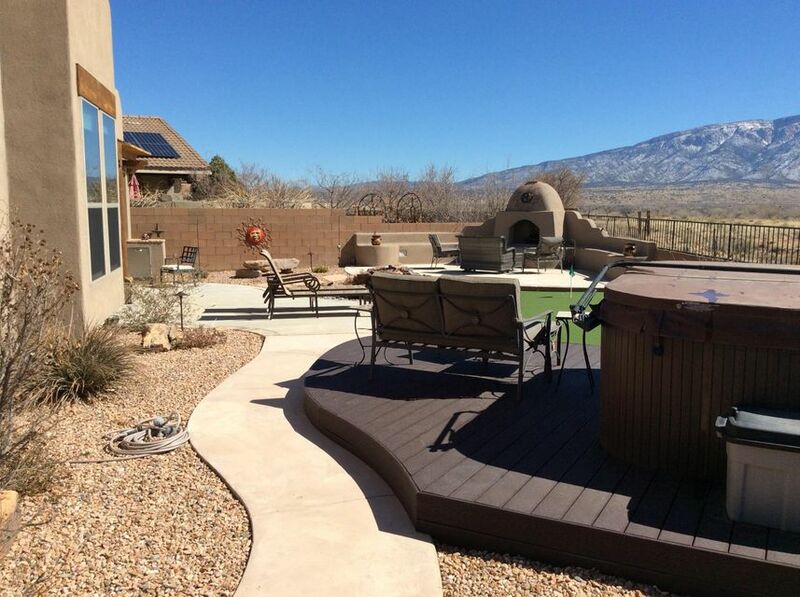 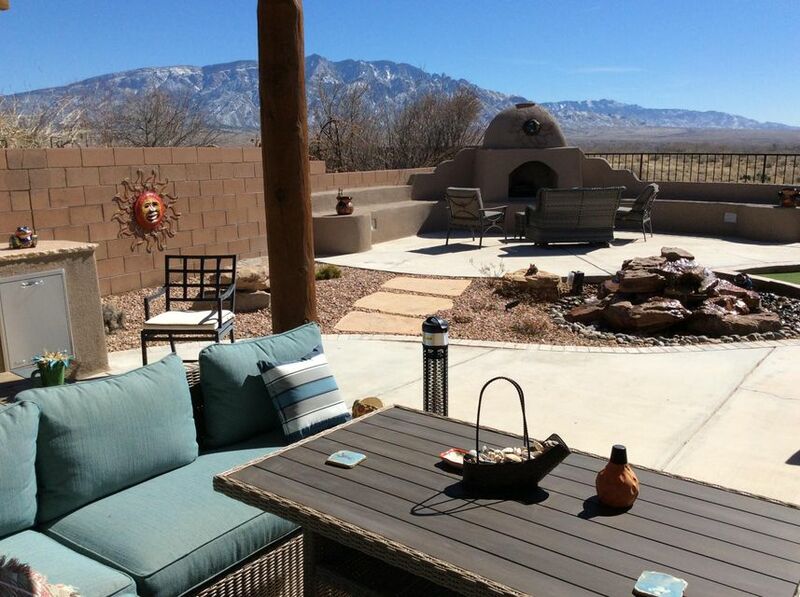 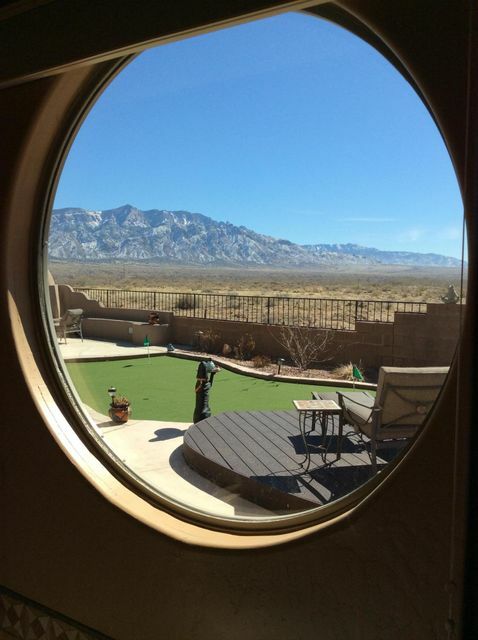 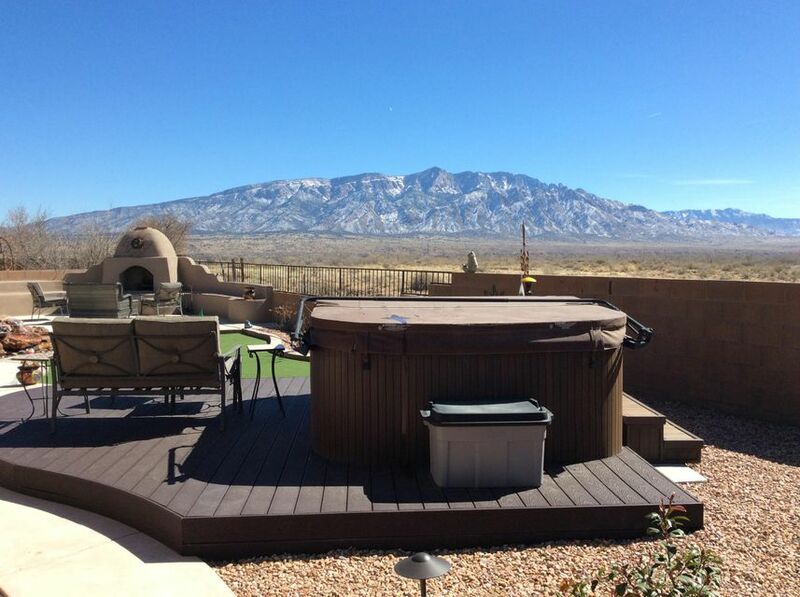 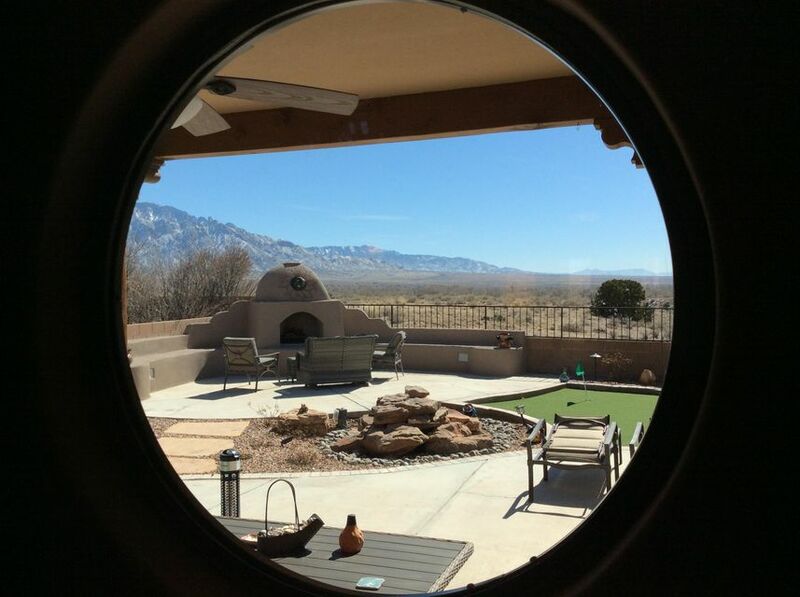 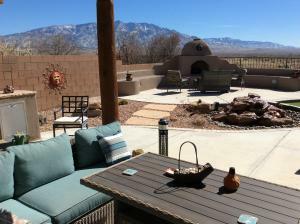 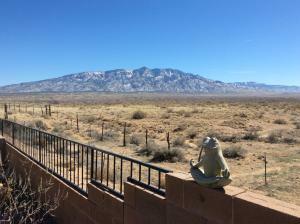 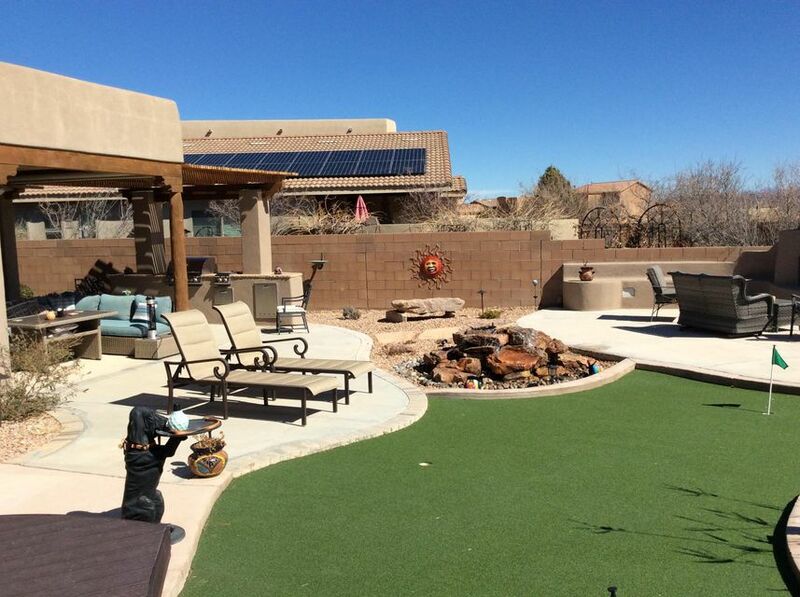 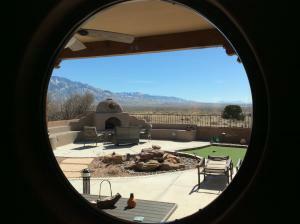 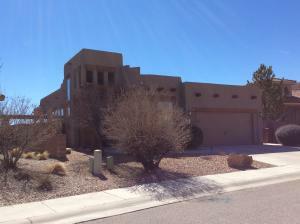 This PREMIUM lot is located adjacent to Sandia Pueblo Open Space with unobstructed vast mountain views from this oversized very comfortable patio area. 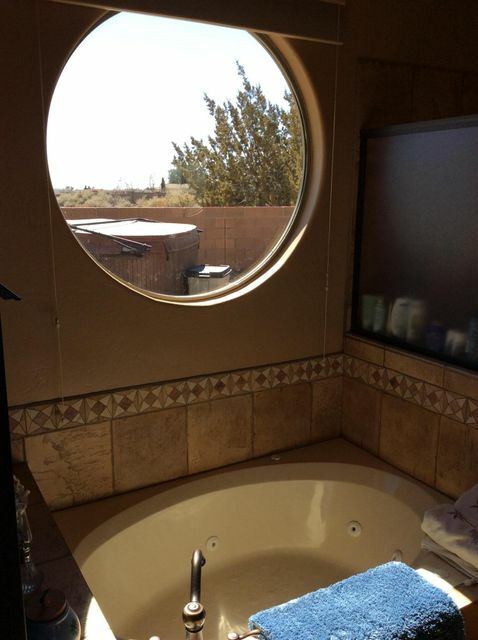 Sit and enjoy sunrises and sunsets along the middle Rio Grande Valley. 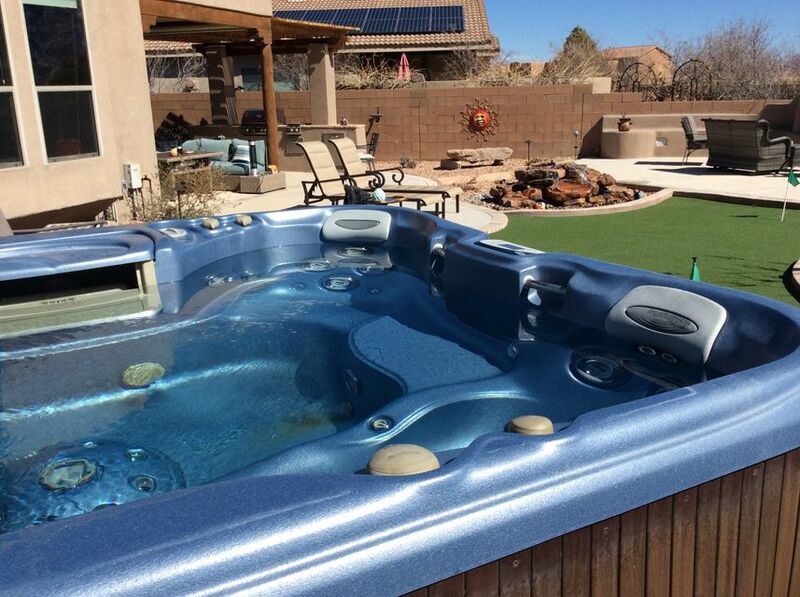 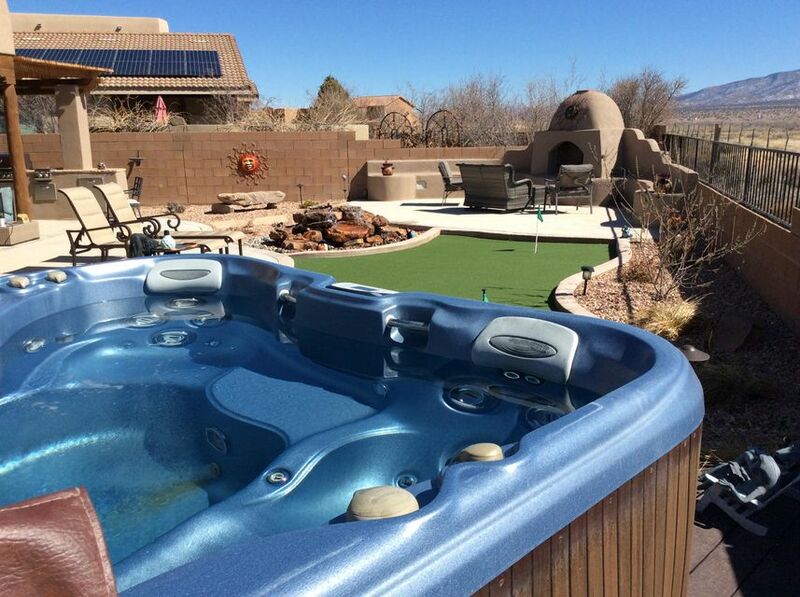 The hot tub is great for soaking and enjoying the outdoors. 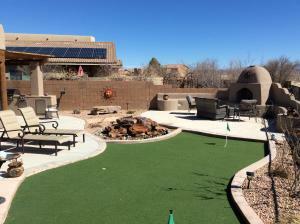 Walkways take you along beautifully landscaped areas of natural xeriscape and native flowers. 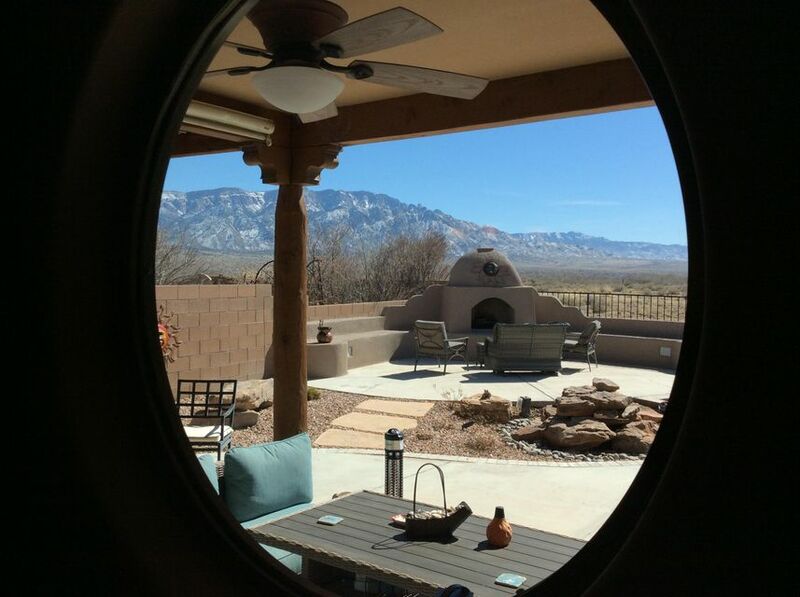 The beautiful Master Planned Community of Santiago is calling THIS IS A UNBELIEVABLE VIEW that must be seen to appreciate! Directions: NM 528 to Santiago Way. 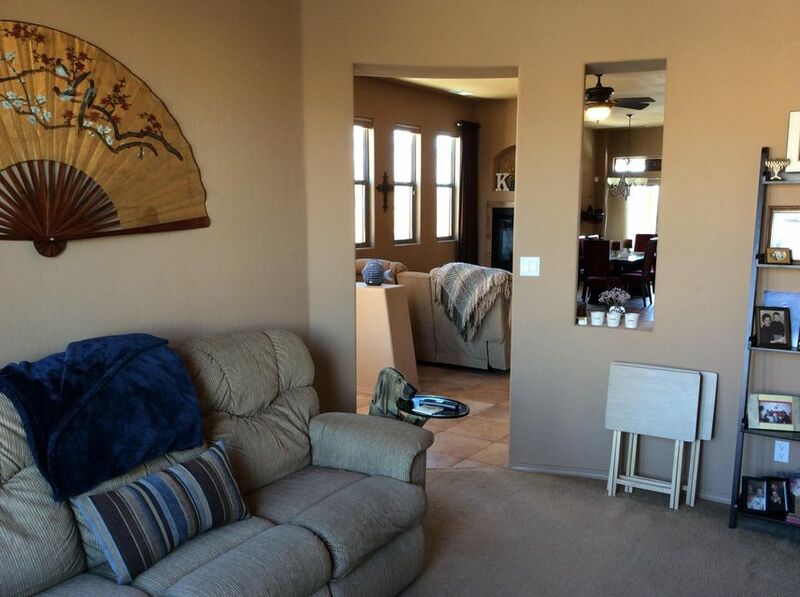 S on Magic Circle, Right on San Augustin to property.